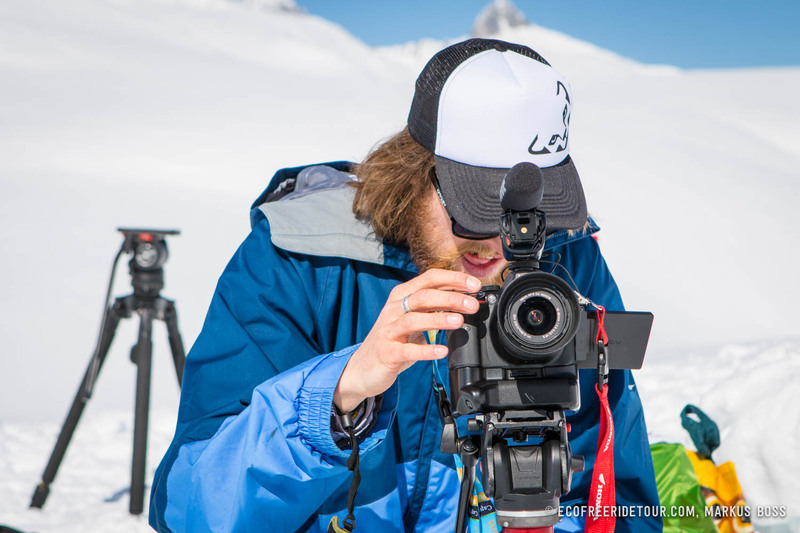 The final stop of the Kick the Vik Eco Freeride Tour (EFT) took place at the Forno alpine refuge in Maloja (CH). A venue that had never before been part of the tour, but that turned out to be a true freetouring El Dorado. During the freeride contest on Saturday afternoon the contestants showed their skills under difficult conditions. The Swiss national Guido Anderwert won in the snowboard men category with a fluid line that included tricks and cliff drops. William Cochet (FR) won ski men with a very powerful and controlled descent. Johanna Bogner (DE) impressed her peers and won ski women. During the alpine workshop the participants learnt the use of crampons and ice axes and increased their knowledge of rope techniques and knots. For the first time in its history the EFT held an event in Maloja (CH) at the Forno refuge, an insider tip for freeriders and freetourers. The participants arrived in Maloja on Friday morning and ascended to the refuge in pleasant spring weather. The four-hour ascent started out easily through the impressive Val Forno. The participants from Austria, France, Germany, and Switzerland used the time during this easy part of the hike to get to know each other. After a few relatively flat ascents and two rest stops the group was already on friendly terms. The last meters would be the most strenuous of the day, as the only steep face of the ascent lay directly below the refuge. With the warm spring sun on their necks the participants fought their way up to the inviting terrace of the refuge and to the promise of the cool drink. Around Cider, beer, shandys (called Panaché locally), and homemade cake the short, hard work from before was soon forgotten. The inviting afternoon sun soon got some of the participants to leave their comfortable seats and explore the surrounding touring area. 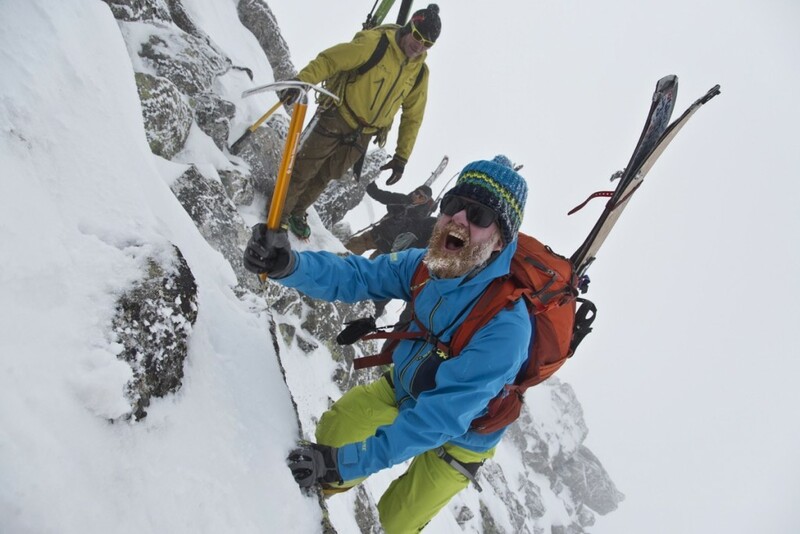 Short ascents lead into wonderful firn fields and soon had smiles on the freeriders faces. 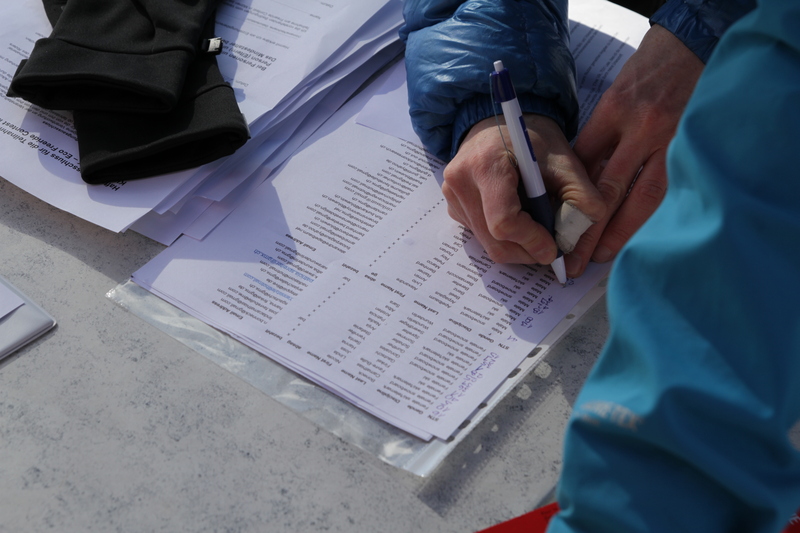 After a well-earned supper, Markus Boss – the organiser – presented the next day’s programme: due to the weather and snow conditions the contest would be held in the early afternoon on a face above the Forno refuge with a western aspect. In the morning the participants would be able to explore the surrounding area or take part in a workshop on alpine freeriding skills. The two mountain guides shared their knowledge of rope handling and knots as well as the correct use of ice axes and crampons for boots and skis. Thus the participants learnt and practised safe conduct in a high alpine environment. Back at the hut the participants regained their strength for the afternoon’s contest. Although the weather was deteriorating, the visibility was still good and the participants were still motivated to hold the competition, even under more difficult conditions. The freeriders impressed their peers with cliff drops and fluid lines in varied terrain, even with the adverse weather conditions. The weekend's social aspect didn't get lost even during the competition and all riders got cheered upon their arrival in the finish gate. After the last rider of the contest a short ascent lead back to the refuge. Not long after the video clips of the riders' runs were soon cut, the beamer and screen set up and the riders' judging explained to the participants. Before eating the riders judged each other's runs so that the prize giving ceremony could be held straight after dinner. Johanna Bogner from the Allgäu impressed her peers with a fluid line that included several jumps and made first place in the category ski women. Guido Anderwert took first place for snowboard men by showing the best line choice and won the hearts of the other riders with some stylish moves. The Frenchman William Cochet dropped from a 3-meter cliff straight on to first place in front of the local, Marco Tribelhorn from Laax. Kick The Vik Eco Freeride Tour Maloja Review 2015 from VIKTOR on Vimeo. After the prize giving ceremony everyone celebrated the successful day together right into the wee hours of the morning. Sunday morning was the time for good-byes. The participants of the previous day's workshop went on a tour to practise their newly learnt skills. Icy passages were mastered with crampons, and the budding mountaineers practiced short climbing sections and rappels. Others climbed up to the nearby Monte Forno for a final tour or made their way directly down to Maloja. And so a successful 2014/15 tour ends with the tour stop in Maloja. The varied and challenging terrain in the Val Forno will definitely be featuring in next year's Eco Freeride Tour, since there are still many untouched faces to be discovered.